Pick Your Goal and Go! This challenge may seem a bit daunting (especially if you live in a cold weather climate), but it's very doable. The 5K is the perfect distance to race once a month because you have plenty of time to recover. But the races are frequent enough that you won't really have time to get lazy and out of shape. 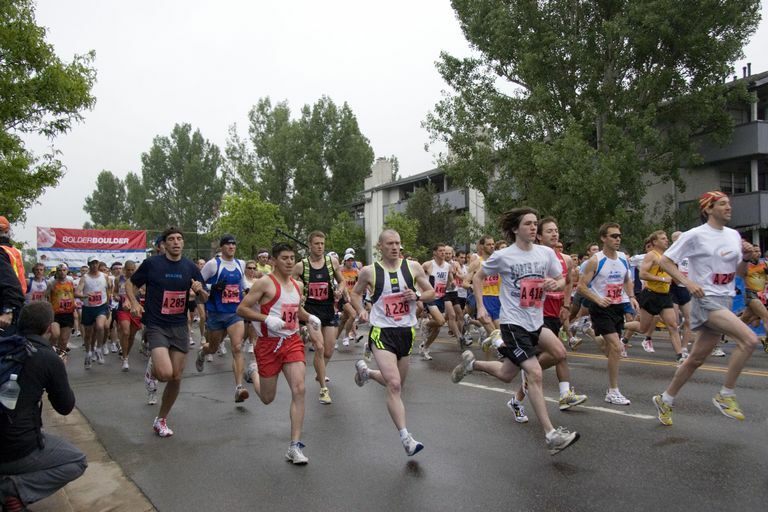 Local 5K races are fairly easy to find, so you shouldn't have to travel too far to find some. Want a bigger challenge? Try running a half marathon or marathon every month. You'll have to travel a lot more than you would for 5Ks, but you’ll get some great trips out of it. Just keep in mind that a monthly half or full marathon challenge is for experienced runners only. And you shouldn't be "racing" long distances like that every month—some of the races should be done at your easy training pace. Start your own running streak by challenging yourself to run every day for a month. The runs don’t have to be long. In fact, the United States Running Streak Association defines a running streak as "running at least one continuous mile within each calendar day under one's own body power (without the utilization of any type of health or mechanical aid other than prosthetic devices)." The runs in a streak can occur on roads, tracks, trails, or treadmills. A running streak is a fun way to stay motivated to run, but streakers need to be careful. Running every day can lead to injuries, since rest days are important for recovery. If you want to start a running streak, make sure that at least one of your runs every week is very short (you only need to run a mile, after all) and easy to give your body a chance to rest and recover. Also, be careful that you don't push yourself through an injury or illness just to keep your streak alive. You could end up making your injury or illness worse or causing new injuries. Another fun idea involving running streaks is to run every day between Thanksgiving and New Year's Day, which can help you stay motivated to keep running during that busy (and high-calorie) time of year. Want a bigger challenge? Try streaking for a year! If you run at least a mile every day for a full year, you can get be listed on the USRSA's Official USA Active Running Streak List. The planning for this type of challenge can be as tough as the execution because it may be hard to line up all the races four weekends in a row. Start with the marathon you want to run and then work back from there. But, remember, you won’t be “racing” all of the distances, as your body can’t handle all that back-to-back racing. Want a bigger challenge? The Dopey Challenge (at Walt Disney World’s Marathon Weekend in January) has you doing all four races in one long weekend! Other half or full marathon organizers are adding shorter races to their race weekends, so these types of progressive race weekends are getting easier to find. Running local races is cheap and convenient, but it’s fun to run in different parts of the country. Try branching out to neighboring states and then others in your time zone. If you're traveling to another state for work or pleasure, see if there’s a race—any distance—that coincides with your travel dates. That’s an easy way to add another race without making a special trip. Want a bigger challenge? Run a race in every state. This challenge could take many years to accomplish, but each time you run another state, you’ll feel like you’re making progress and working toward an incredible goal. Some runners really take it up a notch by attempting to run a half or full marathon in every state. Do you have a list of races in your head that you’ve been dreaming about running? Write them all down and start working on a plan to run them all by a certain date, whether it be a year or two from now, a milestone birthday, or the anniversary of your first big race. Take a look at these bucket list marathons if you need some ideas.